Dachshunds Unlimited is a certified AKC Registered with H.E.A.R.T. breeder, and we specialize in the breeding and tender loving care of purebred smooth and longhair Miniature Dachshunds in an array of colors and coat marking patterns. From subtly shaded dapples and dilutes (e.g., blue and tan, Isabella) to striking piebalds and solids (e.g., chocolate, cream, red), our beautiful puppies are sure to catch your eye as well as your heart. 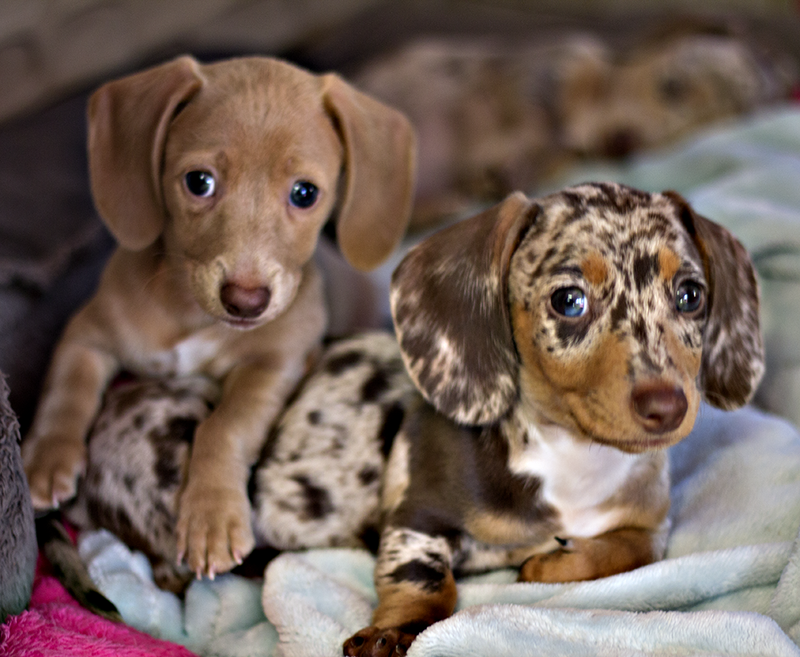 However, when you choose a puppy from Dachshunds Unlimited, you’ll be getting far more than just a pretty face. Our puppies are AKC Registered and have been carefully bred not only for their exceptional beauty but also for their intelligence, temperament, and health. After all, we want you and your new best friend to enjoy many happy and healthy years together. At Dachshunds Unlimited, we are committed to the health and happiness of our Dachshund Family. Neither our Dachshund parents nor their precious puppies live in cages. They are lovingly reared in our home with our family. Our home is located on five beautiful acres in sunny Ocala, Florida. 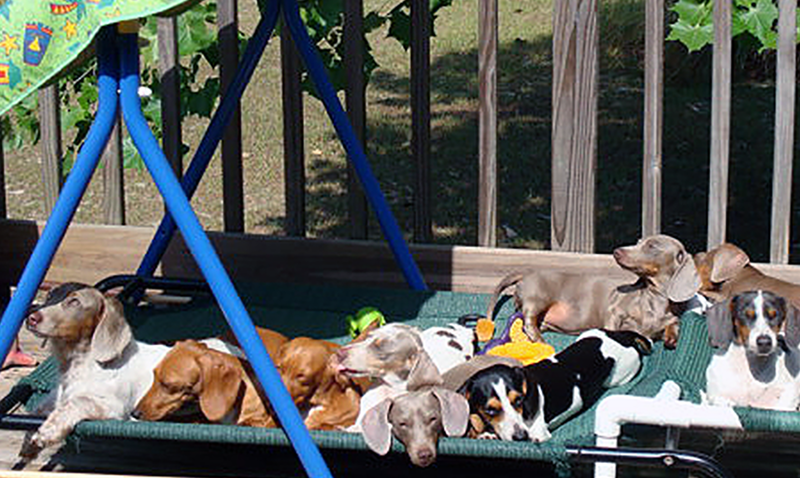 When they’re not enjoying snuggling together in our air-conditioned house, our darling Dachshunds love to sun themselves on the deck of our patio or to frolic happily beside us as we work on our farm. At Dachshunds Unlimited, our slogan is far more than just a catchphrase, it is the core of our philosophy as a breeder. From the moment our beloved puppies are born, they are surrounded by love, gentleness, and a warm, loving environment in which to grow. We begin our puppies' socialization training as soon as their eyes have opened, and we gradually introduce them to common household noises, my family members, and other Dachshunds. However to safeguard their health, we do not allow anyone outside of our family to visit or adopt our puppies until they have reached at least 8 weeks of age and have been medically cleared. So, when one of our precious puppies leaves our loving home to join you in yours, your new friend will be happy, healthy, and well socialized.